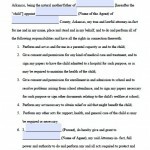 Arkansas power of attorney is a legal tool whereby a principal authorizes another person, called an agent, to make certain financial or health care decisions on the principal’s behalf. If you suffer from a debilitating accident or have an emergency that keeps you from completing routine financial transactions, having a power of attorney in place can help you greatly by allowing other people to conduct your business for you. This can be incredibly convenient and prevent unnecessary emotional turmoil. 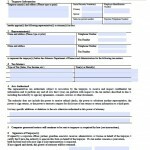 Under State law all forms are considered “durable”, meaning that if the principal becomes mentally not able to think for themselves that the form remains valid, unless the document explicitly states that it is not a durable type. 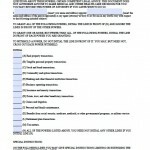 The document needs to be signed by all parties to be valid but it is highly recommended that it be completed in the presence of a notary public for legal documentation. 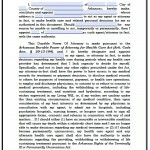 If either party has any questions about the laws or their rights they may view the Arkansas Uniform Power of Attorney Act.